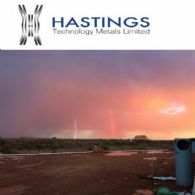 Hastings Technology Metals Ltd (ASX:HAS) (FRA:5AM) is a leading Australian rare earths company, with two rare earths projects hosting JORC-compliant resources in Western Australia. 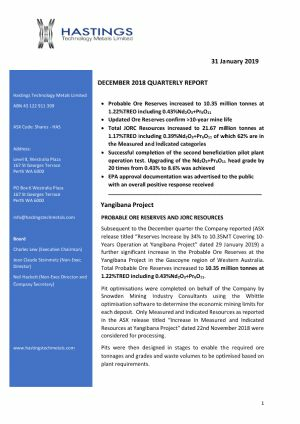 - The Yangibana Project hosts Probable Reserves totaling 5.15 million tonnes at 1.12% TREO including 0.45% Nd2O3+Pr6O11 within JORC Resources totalling 21.0 million tonnes at 1.17% TREO (comprising Measured Resources of 3.9 million tonnes at 1.19% TREO, Indicated Resources of 8.6 million tonnes at 1.25% TREO and Inferred Resources of 8.4 million tonnes at 1.09% TREO), including 0.40% Nd2O3+Pr6O11. - The Brockman deposit contains JORC Indicated and Inferred Resources totalling 41.4 million tonnes (comprising 32.3mt Indicated Resources and 9.1mt Inferred Resources) at 0.21% TREO, including 0.18% HREO, plus 0.36% Nb2O5 and 0.90% ZrO2. - Rare earths are critical to a wide variety of current and new technologies, including smart phones, electric vehicles, wind turbines and energy efficient light bulbs. 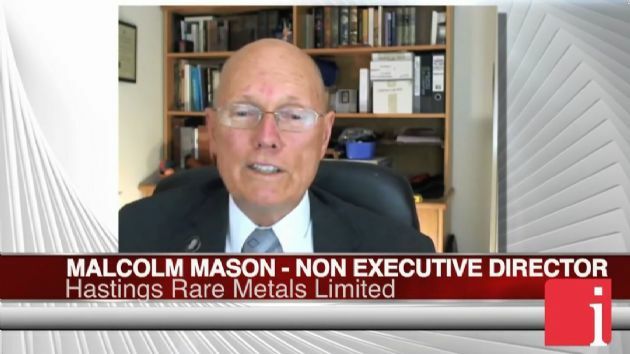 - The Company aims to capitalise on the strong demand for rare earths permanent magnets created by expanding new technologies. 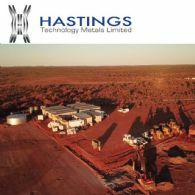 Hastings Technology Metals Limited (ASX:HAS) refers to its prospectus dated 9 April 2019 pursuant to which a non-renounceable pro-rata entitlement offer was made to eligible shareholders. 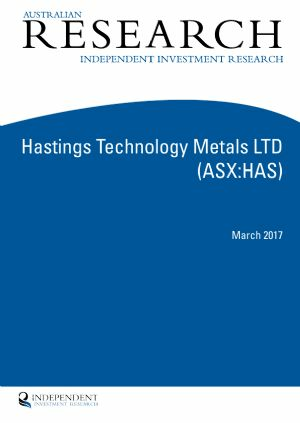 Hastings Technology Metals Ltd (ASX:HAS) is pleased to advise that it has launched a non-renounceable rights issue on the basis of 1 new ordinary share for every 8 ordinary shares held at a price of A$0.17 cents per ordinary share to raise approximately A$16.5m. 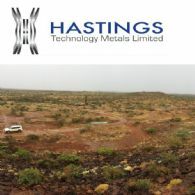 Hastings Technology Metals Ltd (ASX:HAS) advises that Mr Guy Robertson has today been re-appointed as joint company secretary. 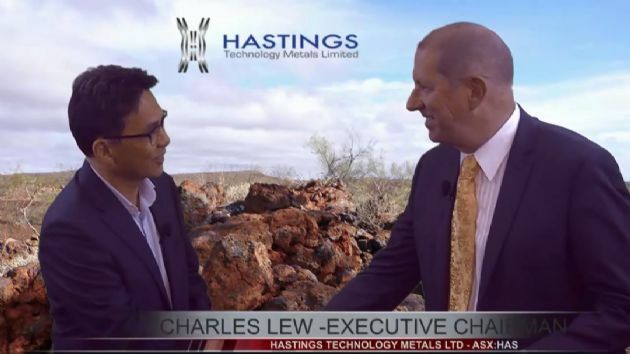 Hastings Technology Metals Ltd (ASX:HAS) notes that following the announcement of the placement and rights issue on 3 April 2019, its Executive Chairman, Mr Charles Lew, has been contacted by shareholders who did not participate in the recent share placement. 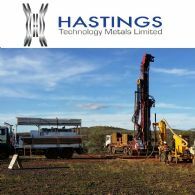 Hastings Technology Metals Ltd (ASX:HAS) is pleased to advise that it has successfully completed a placement of A$12 million after costs to shareholders and investors both in Australia and overseas. 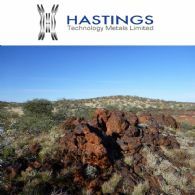 Hastings Technology Metals (ASX:HAS) is pleased to advise that the Australian Government&apos;s Northern Australia Infrastructure Facility has indicated it will further investigate the potential for NAIF to provide debt finance for the Yangibana Rare Earths Project. 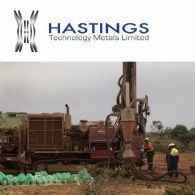 Hastings Technology Metals Limited (ASX:HAS) is pleased to announce that it has received the results from an initial sample sent for ore sorting testing. Hastings Technology Metals Limited (ASX:HAS) is pleased to announce the appointment of Mr Hidio Jackson as Joint Company Secretary. 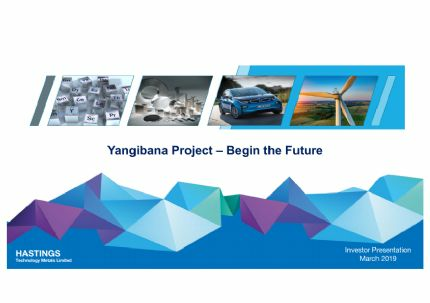 Hastings Technology Metals Limited (ASX:HAS) is pleased to announce that, through its wholly owned subsidiary Yangibana Pty Ltd, it has awarded two significant equipment supply packages. 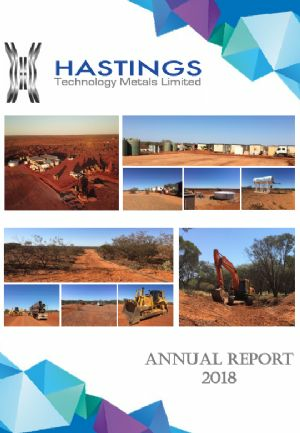 Your directors submit the interim financial report of the consolidated entity consisting of Hastings Technology Metals Ltd (ASX:HAS) and the entities it controlled during the period for the half year ended 31 December 2018.